Wrap your logo around these decadent gourmet cookies. They''re a delicious and engaging way to connect with your customers. 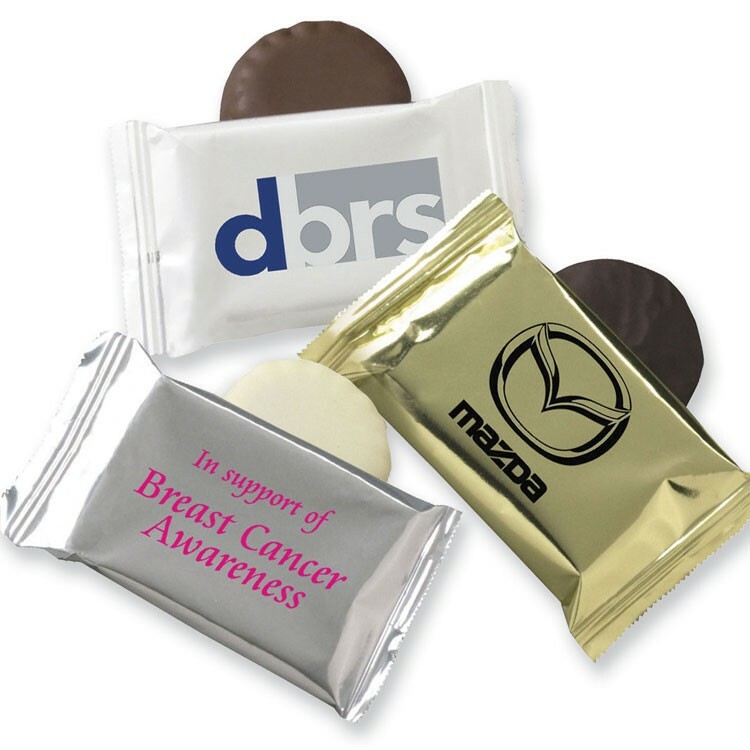 Have a plate or bowl of branded wrapped cookies, ready for meetings, conventions and tradeshows. Imprint Area: Hotstamp 1 3/4" x 7/8", Flexographic Front 2 1/4" x 1 1/2", Back 2 1/4" x 3/4"